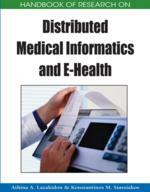 In this chapter the authors investigate telehealth quality and reliability assurance. Various models and standards can be applied to assess software quality and reliability in telehealth platforms and there are also general principles for total quality management which can be adopted. There are also models to assess the quality of the system and the quality of care which are also presented. The approach based on user satisfaction, considers the expectation measurement as information which is not inextricably linked to quality. A different approach is the one based on expectations as well as on disconfirmation of user expectations. The underlying structural model is based on a modified SERVQUAL approach that consists of five dimensions (Tangibles, Reliability, Responsiveness, Assurance and Empathy) which have been consistently ranked by customers to be most important for service quality across all industries. The model can thus be used for evaluation of healthcare services and for planning improvements on services. All these aspects for telehealth systems design are discussed to formulate epistemic criteria for evaluation purposes. In this chapter the authors investigate measures and models for telehealth quality and reliability assurance. Telehealth is defined as “the exchange of health information and the provision of health care services through electronic information and communications technology, where participants are separated by geographic, time, social and cultural barriers” (Hebert, M., 2001). There are two basic components to quality: quality assurance and quality control (Whitney, C.W., Lind, B.K. and Wahl, P.W., 1998). The following quality evaluation issues should be considered in telehealth design and evaluation: system, software, care, patient satisfaction and management. Very different measures are necessary for measuring the effectiveness of an information system. Related to the information systems effectiveness the dimensions of information systems success have been defined (DeLone, W. H. and McLean E. R., 2002). Other researchers (Cameron, K.S. and Whetten, D.A., 1983) have proposed a useful framework for selecting appropriate measures for future information systems research focused on organizational performance. In the scientific literature it is also proposed (Seddon, P.B., Staples, S., Patnayakuni, R. and Bowtell, M., 1999) that the diversity of information systems effectiveness measures is to be encouraged. Guidelines for standardisation of quality assurance in clinical trials are also described (Knatterud, G.L., Rockhold, F.W., George, S.L., Barton, F.B., Davis, C.E., Fairweather, W.R., Honohan, T., Mowery, R. and O’Neil, R., 1998). The transcedental aspect of product quality (Ward, W.A. and Venkataraman, B., 1999) is identified with the sense of perfection that each person has. Because of this subjectivity, the methods and the models for the improvement of quality are necessary. With regard to the user view, a product is of quality if it satisfies the user. From the product view quality depends from its acquired characteristics and can be appraised from the presence or absence of certain attributes/characteristics. The manufacturer view is focused to the fulfillment of the required specifications and determines quality as a function. The value based view determines the quality as the means that offer the required services in financially accessible and acceptable cost. Empiric methods are also described to model the factors of software quality (Thomas, W. and Cerino, D. A., 1995). These are separated in functional characteristics (reliability), in programming characteristics (development cost and duration) and in maintenance characteristics. The method they propose (Thomas, W. and Cerino, D. A., 1995) is set from qualitative indicators for the evaluation of quality from the first stages. Telehealth Reliability: Reliability is the probability that software will not cause the failure of the system for a specified time under specified conditions. For the reliability assessment, models exist that present graphically the number of failures of system operation in the time. When users think for software quality they usually mean the reliability on the basis of the existing reliability model: IEEE/ANSI standard 982.2. The code should be reliable according to the deviating views of individuals that develop software, check software or are users of software. A developer-based view focuses on software faults; if the developer has grounds for believing that the system is relatively fault-free then the system is assumed to be reliable. On the other hand a user-based view emphasizes the functions of the system and how often they fail. Telehealth Quality: The quality measurement of telehealth services should be based on product characteristics that contribute to user satisfaction and on product attributes that can be present or absent. In order to measure quality, the user view, the developer view, the product view and the value-based view should be considered.